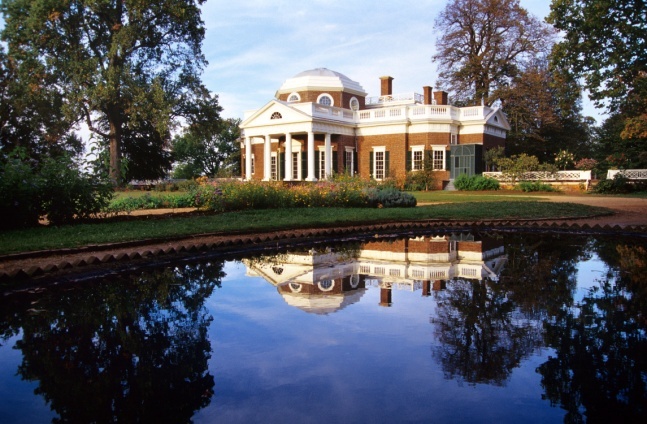 April is a great month to stay at your favorite Charlottesville, Virginia bed and breakfast and also the perfect time to visit Monticello, the plantation home of the third President of the U.S., Thomas Jefferson. With so much to do including a celebration honoring the 270th anniversary of the birth of the late President, a Spring Wildflower Walk, Historic Garden Week, Plantation and Slavery exhibit and more; you will not want to miss spring time at Monticello! The homestead known as Monticello was designed by Jefferson himself when he was a mere twenty six years old and reflects the style of the period. 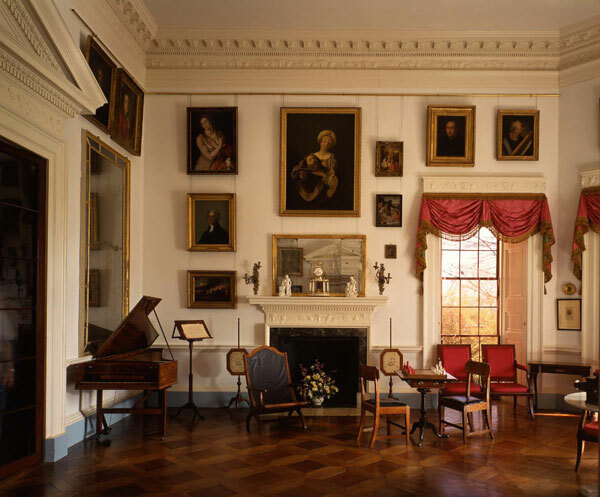 The house was built in 1769 and originally held fourteen rooms but was expanded to forty-three rooms in 1809. 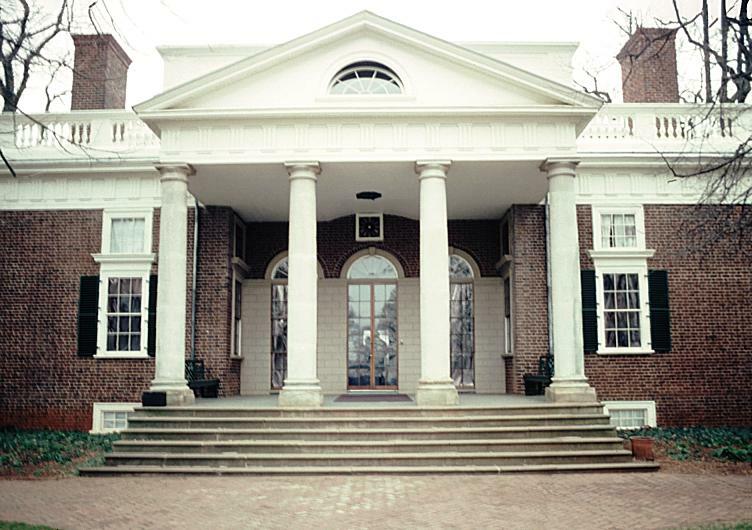 Emblazoned on the U.S. nickel, most people don't know that the iconic columned portico and white dome is not the front of the house, but often referred to by Jefferson as the West Portico or the west front. The main entrance where visitors to the house enter is through the opposite side or the East Portico where the Entrance Hall is located. Have you visited Monticello? Share your stories with us on Facebook! Historically, Monticello was not just Jefferson's home, but it also served as home to the many workers on the plantation: enslaved and free. As our nation celebrates the 150th anniversary of the Civil War, Monticello gives us a look into the lives of the People of Mulberry Row, the 5,000 acre plantation that housed hundreds of free whites and blacks, indentured and enslaved servants. The exhibit The People of Mulberry Row allows you a look at what life was like for the workers on Jefferson's plantation. Would you like to visit a historic plantation? Share your experience with us on Facebook! Visitors in April can participate in a Spring Wildflower Walk on Saturday, April 6th, 13th and20th. The Spring Wildflower Walk is a three hour journey through the forests of Monticello to the Rivanna River. Experience the botanical jewels of Virginia including lilies, blue bells, tulips and more flowering beauties. The cost of the Spring Wildflower Walk is $15. Have you ever seen a Virginia Blue Bell? Share with us on Facebook! A real treat awaits guests on Friday, April 12th as Monticello will celebrate the 270th anniversary of Thomas Jefferson's birth. Interestingly enough, there are no records of any celebrations held during Jefferson's life and the first commemoration was held in 1830, four years after his death. The 270th Birthday Celebration will take place on Friday, April 12th from 10:00am to 11:00am and it is free to the public with admission to Monticello. If you could ask Thomas Jefferson one question, what would it be? Tell us your question at Facebook! Historic Garden Week at Monticello is part of a weeklong celebration of 250 of Virginia's most lush gardens and historic landmarks that runs from Saturday, April 20th through Saturday April 27th. Guests will enjoy a different presentation including garden enthusiasts and horticulture professionals from across the country that will offer their garden tips and secrets including Tips for the Modern Gardner; Restoring Monticello's Historic Landscape; The Restoration of the Flower Gardens at Monticello and Historic Plants Open House. For more information visit the Monticello website. Would you like to take a walk through the gardens at Monticello? Tell us at Facebook!